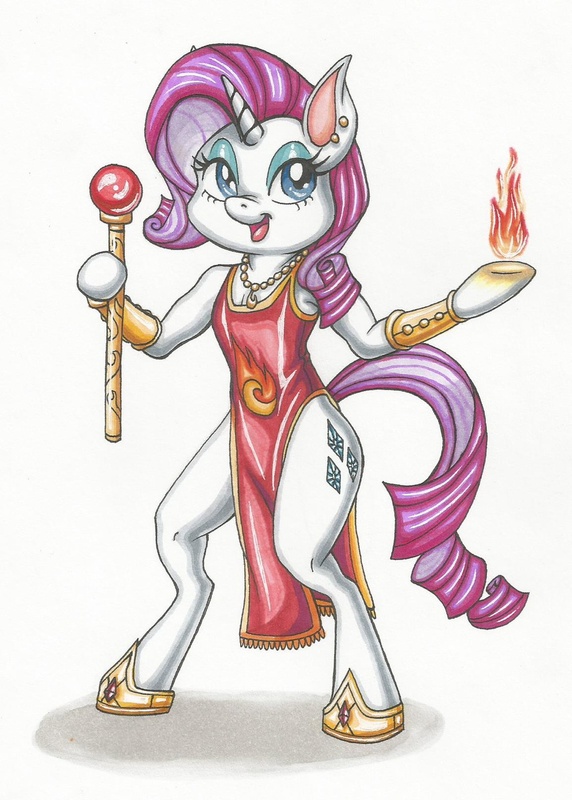 a couple of months ago, in a brief yet extremely detailed dream, Fire Mage Rarity and Warrior Tank Princess Twilight Sparkle appeared. *that actually doesn't make sense because Twilight should have been a mage of some sort but I can't control what I dream so whatever...* This is as she appeared, and yes her hair was that color. *shrugs, fire magic perhaps? * anyway, she was far more detailed then Twilight and actually spoke and for some reason also had a sketch sheet of poses of herself... *yeah okay.... totally not weird* but yes. What she said, I can't remember, but it was something about she was more fashionable then Twilight's chunky armor... She's been on and off worked on since those few months ago because I've been busy but here she is finally done.